If you don’t have time to ride your horse, you might consider lungeing him. 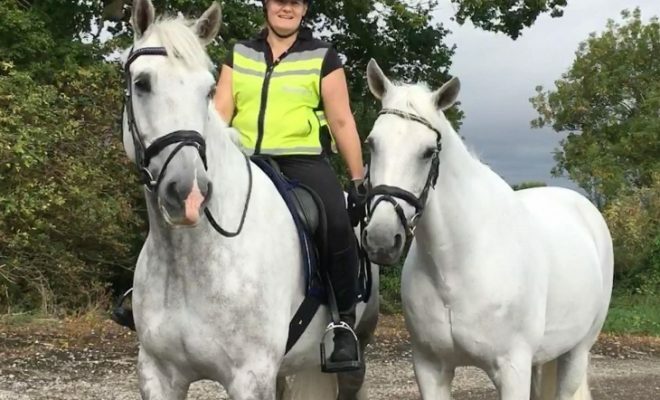 Lungeing is a brilliant way of working your horse from the ground and can provide your horse with so much more than a quick leg-stretch! 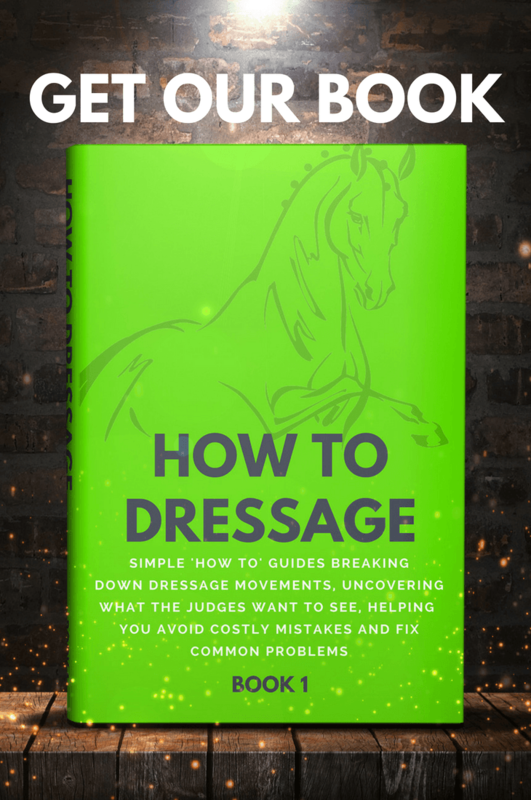 So, how do you lunge your horse? When you’re working your horse on the lunge, you’re able to watch how he moves and carries himself, so that you can identify areas for improvement under saddle. When deciding where to lunge your horse, safety for both parties must be your main priority. Avoid lungeing on surfaces that are slippery, boggy, uneven, or rutted. Also, try not to pick a corner of your field that is very hard and dry or is on a steep incline. Ideally, your lungeing area should be enclosed and flat with a suitable, cushioned surface. It’s best not to lunge in an open field in case something startles your horse into flight mode. What equipment do you need for lungeing? The equipment you use will vary, depending on the type of lungeing you are doing, and what your goals and purpose are. For example, if you are lungeing before riding, you may want to tack up your horse as usual and lunge off the bridle. Bridle: Take the reins off or twist them up in the throatlatch so that the horse can’t tread on them. If you’re using a cavesson, remove the noseband from the bridle. Saddle or lunge roller: Run the stirrup irons up the leathers and wrap the loose ends of the leathers around the irons so that they don’t slip down while the horse is moving. Brushing and overreach boots: These are essential for young and unbalanced horses to prevent injury. Lunge cavesson: A cavesson is placed over the top of your bridle and secured with two buckles behind the horse’s cheekbones. 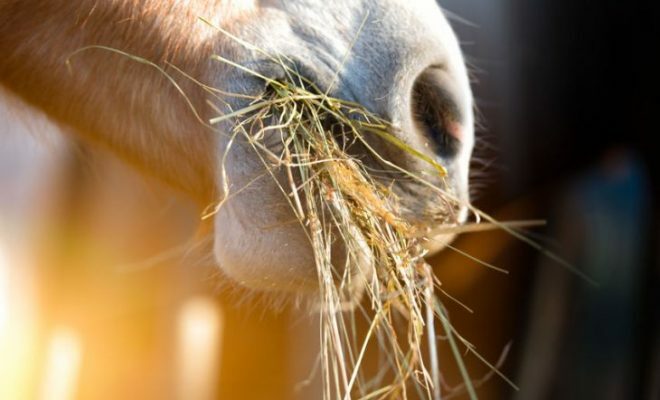 The cavesson should be fitted firmly so that it can’t slip around and rub the horse’s eye if he pulls on the lunge line. Side reins: Side reins are used to encourage the horse to work forward into a contact. They are not there to hold his head down! Side reins should have an elasticated insert to prevent the horse from fixing on the contact. They should have a buckle at one end so that you can adjust the length of the rein. The other end should have a spring clip, enabling you to fix the rein to the horse’s bit. Lunge line: Your lunge line should be at least 33 feet long (10 meters). You can choose from webbing, rope, or nylon lunge lines. Lunge whip: A lunge whip is necessary to guide the horse out onto the circle and to keep him moving forward. Never use the lunge whip to punish the horse. 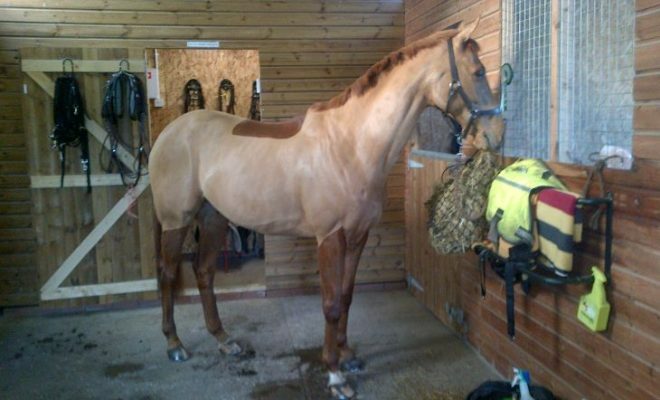 So, now that you’re all kitted out, how do you lunge your horse? 1. Before you start, make sure that the horse is not afraid of the lunge whip, especially if you’re working with a young horse. Have the horse stand while you calmly touch the lunge whip on his shoulder and then all over his body. The horse should stay relaxed and comfortable. 2. Now you’ll need to teach the horse some voice commands. The easiest way to teach voice commands is to lead the horse in-hand. Practice halt-to-walk and walk-to-halt transitions on both reins so that the horse becomes accustomed to you working him from both sides. Try to use the tone of your voice to tell the horse what you mean. For example, when asking for an upward transition, raise your voice at the end of your command. For a downward transition, make the command long, drawn-out, and in a lower tone. 3. Now, encourage the horse out onto a circle. To do this, lead the horse on a small circle with your lunge line in your outside hand and the lunge whip tucked under your outside arm. 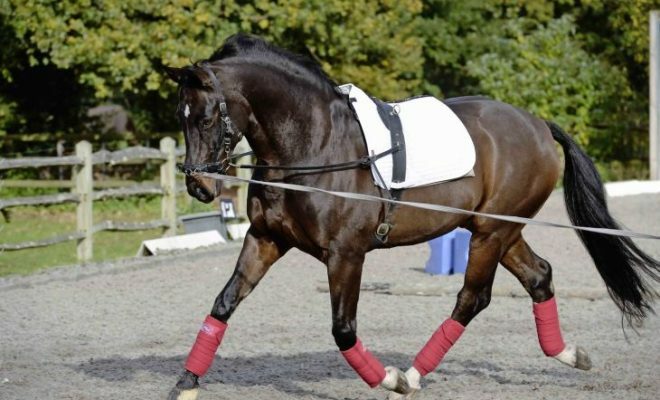 Encourage the horse to walk forward, and then slowly move the lunge whip into your inside hand. Bring the whip around and toward the horse’s hindquarters, still encouraging him to move forward. Turn to face the horse, standing slightly behind his shoulder. 4. When lungeing, don’t step back away from the horse; he will probably follow you in an ever decreasing circle! Instead, step towards the horse, using your body to ask him to move away from you and back out onto the circle. 5. Think of a triangle that’s made by the horse, the lunge line, and the lunge whip. The horse forms the base of the triangle. The lunge line is one long side. And the whip is the other long side. 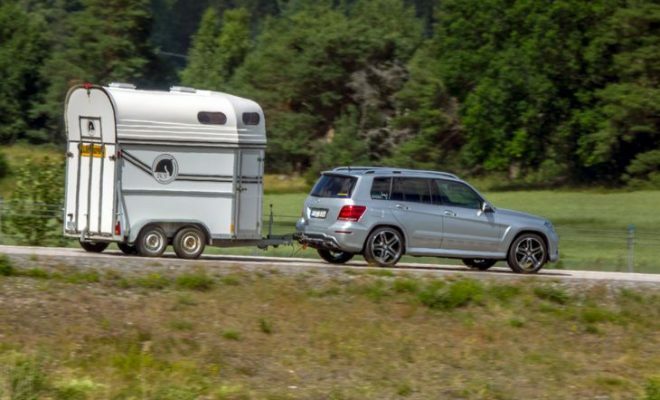 Keep your body level with the horse’s quarters so that you are in a driving position where there is less chance that the horse will stop and turn in towards you. 6. Keep your lunge whip up, and point it towards the horse’s inside hock, without allowing the lunge line to trail on the floor. Once you’ve started and the triangle is formed, keep still, and move around the circle with the horse. 7. Your horse may fall in at the shoulder and drift toward you, creating a smaller circle. Point the whip at the horse’s shoulder and step towards him, pushing him out onto the circle while keeping the lunge line tight. 8. If your horse begins to hurry, point your whip in front of him. That should slow him down. Use a slow, calm tone to encourage the horse to slow down and relax. 9. If your horse is lazy and won’t go forwards, you need to shorten the lunge line and walk towards him. The circle should remain the same size, but you’ll be closer to the horse. Point the whip at the horse’s bottom and make encouraging noises to wake him up! Before you fit your side reins, allow the horse to warm up on both reins. When you’re lungeing the horse for exercise, side reins are not necessarily needed. When the emphasis is more on working the horse on the lunge to improve the way of going, side reins can be beneficial when used correctly. The most important point to remember when using side reins is that their job is to provide a light contact for the horse to work into. Do not use side reins to pin the horse’s head in or force him to work with an artificially low head carriage. That could be extremely dangerous if the horse loses his balance and trips. 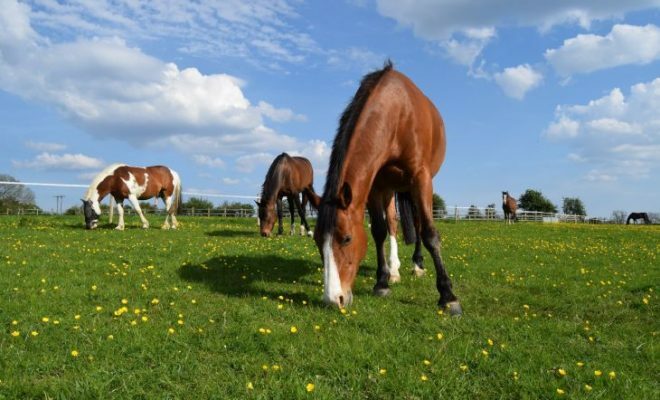 Lungeing can be very beneficial for horses when done in the right place and in the right way. Do you lunge your horse regularly? Have you got any tips that other readers might find helpful? Share your tips and experiences with us in the comments section below!